Shifting a house is no doubt one of the big events in the lift of an individual. The process of moving the goods from Gurgaon to another location of India can be quite challenging and even stressful at times. It does not matter whether you are relocating the goods for the first time or have done it plenty of time, the while process of shifting can be pretty much scary because of the unknown fear. There are two most prominent factors that induce fear into the people while relocating, which are worth reading. Whether you will be charged higher as you are moving for the first time? Whether you will get a well maintained transportation truck or not? Whether your belongings will be held hostage by the packers and movers service providers and they will demand more money? The fear of being cheated by the relocation companies may sometimes force the people to shift the goods by themselves rather than hiring movers and packers services. However, if you do your homework in a well planned manner like hiring the moving service providers by undertaking a comprehensive research work will put you in the safer side and your fear will totally diminish. Another fear that many people have is whether their goods will be transported easily or damaged during the goods transportation. Individuals have some fond memories attached with the goods and if they get damaged during relocation, then they may have to suffer from lots of stress. 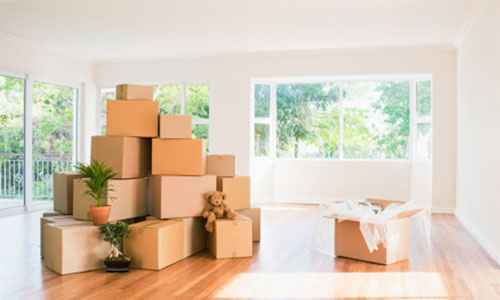 So, in such a situation, a lot of attention must be devoted towards hiring of leading moving companies Gurgaon that use the high quality packing materials to protect the goods from getting damaged. It is also advisable to get the moving insurance for your goods as it will help a lot in eradicating any fear you may have regarding the loss you have to suffer if the goods get damaged. In the end, having well informed and educated related to the hiring of packers and movers companies will go a long way in eliminating fear of moving house.